Why does God allow suffering? 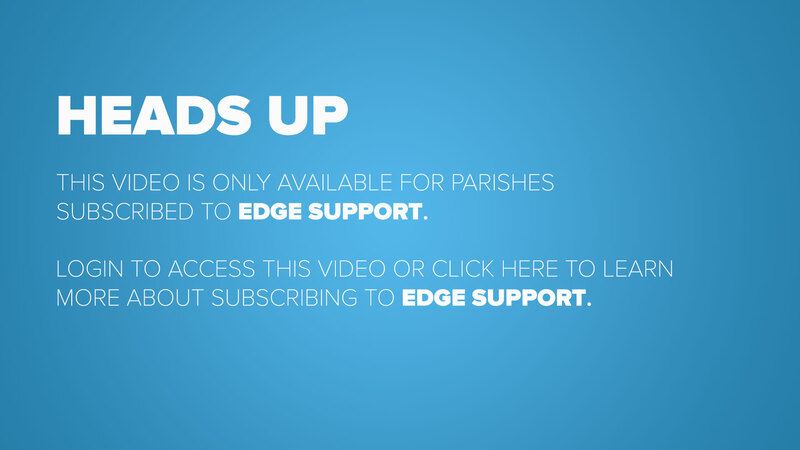 In this Edge Video Support, Matt Fradd breaks open this tough question and dives into free will, evil, and the existence of God. Fradd believes that the problem of evil is the greatest emotional obstacle to belief in God, and he discusses a theory by an atheist philosopher that raises questions about how an all-powerful, all-knowing, and all-loving God could allow evil in the world. He combats this philosophy though with a number of solid points, all stemming from the fact that while evil is an emotional obstacle to belief in God, it is not a strong intellectual obstacle, and as people desiring to know the truth, it’s important to not be led by emotions but by intellect. Fradd brings up multiple examples of how God is indeed all-powerful, all-knowing, and all-loving despite the existence of evil, and that the existence of evil can actually be an indirect proof of God’s existence. He finishes by reminding us that when we encounter people who are suffering, they don’t need Christian apologetics – they need us to love them and suffer alongside them.